ac and i just got home from watching the nyc marathon (go alex!). it has to be one of the most spectacular things to see in the city. it makes me all teary to watch everyone run by; i get so excited for them. congrats to everyone who ran today! 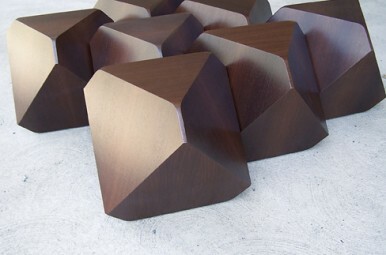 and, speaking of spectacular, i spotted these gorgeous new pieces by designer william earle at velocity today. they're on the pricey side but if you're someone who has some expendable income they're gorgeous pieces in which to invest. and if you're like me and are on a window shopping budget, they're just pretty to look at. click here for more info and to shop (and here for more info on william earle). see you monday. Ha ! For a second , after seeing the first picture , I thought it was another chocolate related post !! Hee hee !